Rheumatoid arthritis and systemic lupus erythematosus are autoimmune diseases—conditions in which a person's immune system mistakes the body's own cells and tissues for foreign invaders and attacks them with antibodies. In rheumatoid arthritis, this leads to joint inflammation. "Lupus" can affect many parts of the body, including the skin, joints, heart, lungs, blood, kidneys, and brain. In the 1950s, when Henry G. Kunkel (1916-1983) began studying patients in the Rockefeller Hospital with rheumatoid arthritis and lupus, the nature of the so-called rheumatoid factor was unknown, and scientists debated whether antibodies against a person's own tissues even existed. Using the newly developed tools of protein chemistry, Kunkel and his coworkers demonstrated that certain antibodies in the blood of people with rheumatoid arthritis reacted with other antibodies as if they were antigens (the rheumatoid factor). When found in the synovial fluid of joints, the resulting complexes caused inflammation. 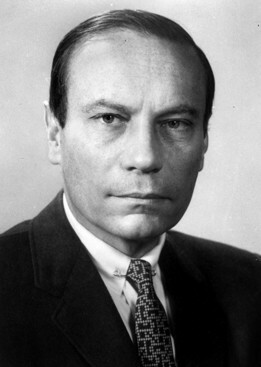 Kunkel also discovered and characterized many autoantibodies in lupus. In particular, he identified immune complexes that accumulate in the kidneys of lupus patients, causing disease. A pioneer in clinical immunology, throughout his career Kunkel found inspiration in studying patients, and used his clinical insights to deduce fundamental principles of immunology. Henry Kunkel graduated from Princeton University in 1938 and received the MD from The Johns Hopkins University Medical School in 1942. He served in the Navy as a physician during World War II. In 1945 Kunkel came to the Rockefeller Institute, and he remained there his entire career, rising through the academic ranks to become full member (professor) in 1952. Among numerous awards and prizes, Kunkel received the the Gairdner Award (1962), the Lasker Award (1975), and the Louisa Gross Horwitz Prize (1977), as well as honorary degrees from the University of Uppsala and from Harvard University. He was a member of the US National Academy of Sciences. From 1960 until his death he was an editor of the Journal of Experimental Medicine. In 1990 a group of Kunkel's former students and colleagues founded a scientific society, The Henry Kunkel Society, with the goal of fostering the development of clinical investigators focused on hypothesis-driven, patient-oriented research, particularly in the field of immunology.